The Coca-Cola Company has launched a new packaging design to complement its ‘One brand’ marketing campaign unveiled globally in January and last week in Nigeria. According to the company, Mexico will be the first market to see the new design, which will be in place starting in May. The new packaging will be rolled-out to additional markets in 2016 and 2017. The red disc seen on the packaging is the signature element of the new “Taste the feeling” global creative campaign unveiled in January. It will now appear prominently on the packaging. 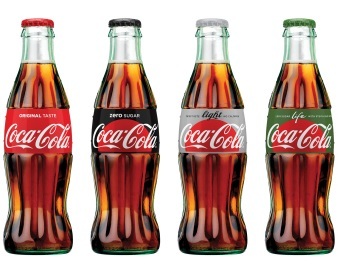 The new packaging is designed to help consumers choose the coca-cola that best suits their taste, lifestyle and diet. To clearly identify each product, the signature colour is featured on the packs. For example, black for Zero, silver for Light/Diet and green for Life. Each pack will also contain a description of what is inside. For instance, Coca-Cola Zero will state that the product contains ‘Zero Sugar’. James Sommerville, Vice President of Global Design, said “The unification of the brands through design marks the first time in our 130-year history that the iconic Coca-Cola visual identity has been shared across products in such a prominent way.